Fun Park Amusement Center is a family facility full of attractions for everyone of all ages! 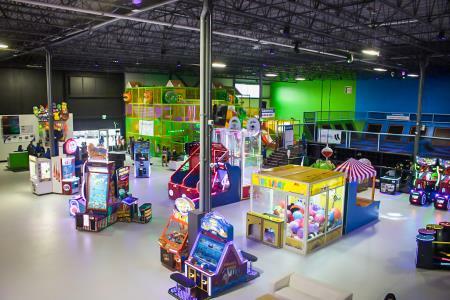 Our attractions include trampolines, dodge ball zone, dunk zone, huge indoor playground, ninja course, climbing walls, gravity slide, laser tag arena and arcade games! Parents can supervise on the comfort of our couches and enjoy our FREE Wi-Fi. We specialize in party hosting and corporate events. Our onsite restaurant can cater for any party you may have at our park. We are located right beside the Golf Dome in Winnipeg, Manitoba.